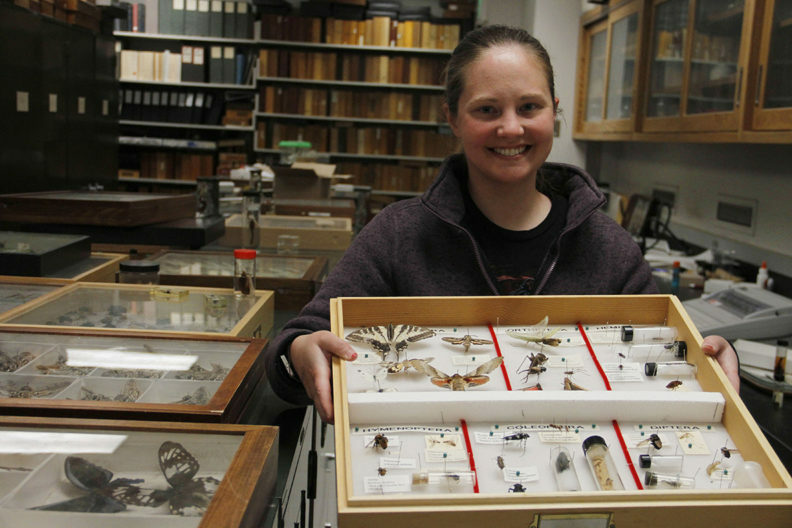 •	The $1.4 million estate gift helps fund student researchers, like WSU Entomology doctoral student Megan Asche, here holding insect specimen donations from the Hyde family. Photo by Seth Truscott, CAHNRS. PULLMAN, Wash. – The James and Marilyn Oliver Hyde estate has gifted $1.4 million to support students in Washington State University’s Department of Entomology, announced WSU President Kirk Schulz on May 17. The gift marks the largest one-time contribution ever designated for WSU insect education and research. This donation is the legacy of the Hydes — longtime residents of Kennewick, Wash. — who shared their love of learning, nature and the study of insects with many Washingtonians. The entomology program is part of WSU’s College of Agricultural, Human and Natural Resource Sciences. The estate gift creates the new Hyde Fellowship program, doubling the number of high-quality students in entomology. It also establishes the Hyde Speaker Series, which will invite experts to WSU to share the latest advances in research on pollinators, pests and insect science. In addition, James’ 600-species insect collection was added to the M.T. James Entomological Collection, WSU’s 1.25 million-specimen resource for education and outreach. Their estate gift will also help to fund future improvements to this important collection. James Hyde earned his entomology degree from then-Washington State College in 1951 before pursuing a career in nuclear engineering at the Hanford nuclear reservation. He returned to his love of insects after retirement. A passionate WSU Master Gardener, James visited area school classrooms and met with WSU faculty members to share insect specimens, science and discoveries. 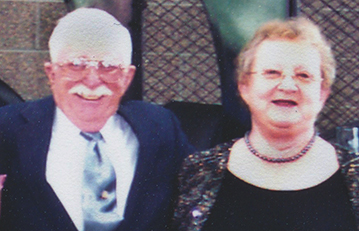 Marilyn Oliver Hyde, a 4-H equestrian program leader and longtime employee of the Washington State Horse Racing Commission, was active in the Horse Heaven Hills Kiwanis Club, and was a well-known fundraiser for a variety of causes for which she cared.